The Freedom From Religion Foundation is warning a city in Wisconsin about constitutional concerns raised by religious signs on public property. A concerned local resident contacted FFRF to report that there are two identical Christian signs on city land in Oconomowoc. They say, "THE CHURCHES OF OCONOMOWOC WELCOME YOU," and there are prominent Latin crosses on top. The displays are easily visible to drivers and anyone visiting a popular public park. "The First Amendment 'mandates governmental neutrality between religion and religion, and between religion and nonreligion,'" to quote the U.S. Supreme Court, FFRF Legal Fellow Ryan Jayne writes to Oconomowoc Mayor David Nold. 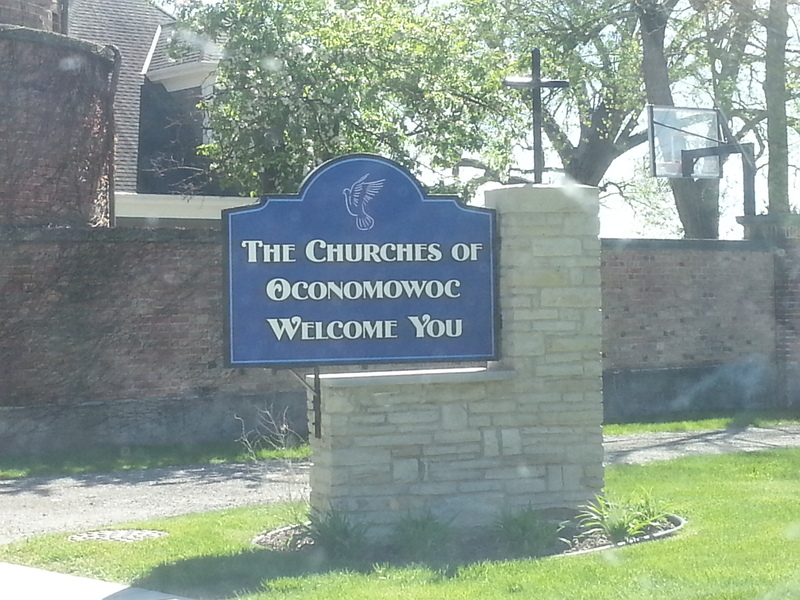 "Displaying signs that promote Oconomowoc's Christian churches, along with Latin crosses, fails to respect either constitutional mandate of neutrality. It endorses religion over nonreligion and Christianity over all other faiths." The religious significance of the Latin cross is unambiguous and indisputable, FFRF adds. As a consequence, these signs convey a message to non-Christians in Oconomowoc that they are not "favored members of the political community," to cite the U.S. Supreme Court again. We're talking about a significant proportion that is alienated due to such symbolism. Nearly 30 percent of Americans are non-Christians, either practicing a minority religion or no religion at all, including more than 40 percent of Millennials. "No matter how innocuous these signs may seem, the social message they send is pernicious," says FFRF Co-President Annie Laurie Gaylor. "Surely, Oconomowoc officials want all residents of the city to feel completely at home." FFRF is urging the city to remove the signs from its property to avoid further Establishment Clause concerns. The Freedom From Religion Foundation is a Wisconsin-based national nonprofit organization with more than 29,000 nonreligious members across the country, including 1,200-plus in Wisconsin. Its purpose is to protect the constitutional principle of separation between state and church.